point As soon as the construction of the infrastructure of Sankul got completed the educational activities and work went on stream. In the first year the Primary and the Secondary school section was started. Forthwith the arrangement and provision of the fooding and lodging facilities for students was also made. KP Dholakiya Information Mahila College, Amreli offers various graduate courses as well as Post Graduate courses. 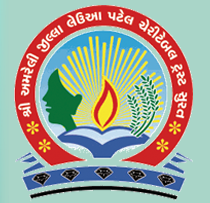 KP Dholakiya Information Mahila College, Amreli is affiliated to Saurashtra University, Rajkot. List of facilities available at KP Dholakiya Information Mahila College, Amreli for students. This page was last modified on 15 May 2015 at 18:05.